Our Twitter Chat with Australia! 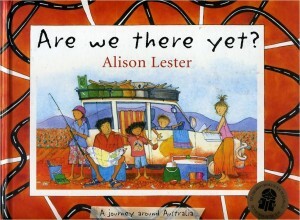 In 2007 Mrs P, a teacher in Australia, sent a copy of this book to Mrs V and her class. This term we’ve been using it for our book study. 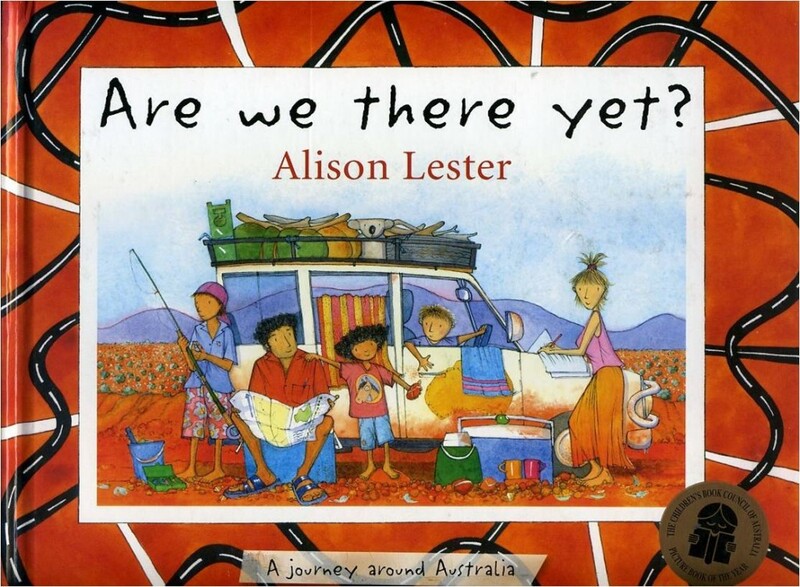 It’s about an Australian family who go on a three month caravan tour of their home country. We’re really enjoying the book, but we had some questions about Australia and what it might be like to live there. On Tuesday, Mrs V logged in to our twitter account and we began asking our questions. We were all astonished when we realised that Mrs P was on twitter at the same time as we were, and she began to answer our questions as we asked them! Later, we looked at all the conversations we’d had on twitter and we decided to make a classroom display so that we could share what we’d learned. We’ve also turned our question and answer twitter conversation into a short movie so that we can share what happened here on our blog. We even added some Aboriginal didgeridoo music to entertain you while you read through the conversations we had. Last week, Ollie Bray came to Falkirk to talk to a small group about Internet Safety and Responsible Use. I really enjoyed listening to what Ollie had to say, especially his views on raising awareness on how the web works (with teachers and parents/carers, as well as students) and about taking responsibility to protect reputations online. We discussed how children as young as Primary 4/5 stages are now using social network sites like Bebo and MySpace. These sites are not accessible to children in our Local Authority. Staff members, however, can access the sites after bypassing a warning message that they can proceed to the website at their own discretion. Although twitter was also mentioned, it was more in a ‘while we’re on the subject’ sort of sideways conversation. When I came home, however, I was surprised to read Anna’s new post about twitter and her thoughts about how ” it’s becoming the new bebo,myspace etc“. I’ve since been followed on my own twitter account by seven of my ex Carronshore bloggers and this has got me thinking about social networks in general. When I received Anna’s request to follow me on twitter (my account was locked for a short time – but that’s another story), I thought long and hard about the ethics and whether or not this was acceptable. I remember creating a Bebo account in the past to allow me to keep tracks on my No.3 son while he roamed about Canada on a gap year. At the time some Primary 7 girls must have tracked me down on there and I noticed the requests. I (tactfully?) explained to the girls that this would not be appropriate …. so why the change of heart now that the same thing has happened on twitter? My Bebo site was set up for personal reasons and I was a bit taken aback when the girls (very innocently) requested to follow me. We had shared exchanges online before via the class blog and their individual blogs, as well as this blog, but crossing that line to a ‘social network’ site was definate ‘no no’ at the time. The very thought of us exchanging correspondence out of the public eye just seemed instinctively wrong to me. Actually, it wouldn’t have made a difference if the sites were public – I would still have felt uncomfortable. My twitter site, on the other hand, was set up initially for CPD purposes. A quick look back at my twitter account origin reveals that the people I first followed were already authors of educational blogs. I was a regular reader of John’s, David’s, Neil’s, David’s and Ewan’s among others and they were all twitter users, so I thought I’d give it a go. I was amazed at the CPD opportunities that twitter offered and blogged about it on a number of occasions on here. And it may even have been similar CPD prospects that helped me decide (not lightly, I might add!) to allow the ex Carronshore bloggers to follow me – and why I feel comfortable following them back. TeachMeet Beginnings … in Falkirk? I was asked casually recently if I would consider organising a teachmeet event here in Falkirk. I’ve attended four different teachmeet type events – the first one was in 2007 . I must have heard about it via someone’s blog at the time. When I signed up to go along and be part of the event, I recognised 3 or 4 names on the list .. but when I look at that same list now, at least 40 of the names are known to me – how my learning network has grown!! Since then, I’ve attended TeachMeet08 SLF2008, TeachMeetSE09 and LeadMeet09 ….. and I’ve also signed up for TeachmeetSLF09. It’s evident from the wiki activity that the TeachMeet concept is extremely popular in the UK, and further afield but I wasn’t sure where TeachMeet originated from. So here’s the story …. as I understand it. Andrew Brown also mentioned the impact that ‘meetup’ had on him in this blog post. David Muir provided a link on twitter to a photograph taken on the evening in the Jolly Judge in Edinburgh. He mentioned that it was taken …… “before we invented the name“. So when did the term ‘TeachMeet’ first appear? How did it evolve from the May 2006 ScotEduBlogMeetup …… to newtechmeet…. to the TeachMeet name (and home) we know today? Well …… I’ve found this great discussion of how the name TeachMeet was coined and I think I can trace the ‘invention’ of the name back to David Muir’s contribution to the wiki. David wrote an entry on the discussion area. @ewanmcintosh was the real driving force behind teachmeet but it was also an idea whose time had come! @ewanmcintosh For which we are eternally grateful! devised as a direct result of having heard of their existance via my twitter network. The following year, I managed to successfully set up individual pupil blogs via edublogs. At the time, they recommended using learnerblogs for pupils. The blogs were set up in such a way that I had equal administrative rights on each pupil blog, and comments needed to be moderated before appearing on a blog. This set-up worked well for a while. During the course of the year, however, learnerblogs were no longer supported by edublogs and advertisements began appearing on the pupils’ blogs. Annoying spam comments also began to surface on a few of the blogs. Hey i really enjoyed Crucial Crew it was great fun. Please would you visit my blog as someone has left a comment i dissaprove of. I dont knoe who it is. It is quite rude. When I investigated her blog, I was horrified to find that the comment was extremely offensive … so much so, that I immediately deleted her blog – a decision made in haste. I spent the rest of the weekend setting up edublog accounts for the children and, on the Monday, I demonstrated to the class how to export all the information from their learnerblog accounts and import it in to their new edublogs one. I also explained how to activate the Akismet plugin and gave them a necessary API Key to enable it to work. All went well after that, and I successfully completed a case study on my experience of giving the children in my class their own online space – and when I started my secondment post, I had no problem recommending using edublogs as a free blogging platform for other teachers in the Local Authority. The recommendation was short lived, however, when inapproriate adverts began appearing on the edublogs class blogs. The only solution was to sign up to be an edublogs supporter. It doesn’t cost a lot, really, to make a blog ad-free, and you can add 30 more blogs (a class set?) to that account so that they’re ad-free, too. But there’s a catch ….. being ad-free is all they’re entitled to. There’s no option on these blogs to add any plugins – so Monica’s ‘extremely offensive’ spam comment could be repeated again and again … much more disturbing than just an annoying advert!! And then it happened .. PrimaryBlogger to the rescue!! I’ve already moved the Carronshore edublogs class blog over to Carronshore primaryblogger. Cassie and primary 5L/W did a fantastic job of keeping it going last session. Next session, Evelyn W – our school art specialist (and my Chartered Teacher buddy), will use it to allow the Carronshore pupils to display and discuss their artwork. I’ve also (very quickly and easily) set up some ‘training blogs’ that can be used during twighlight sessions. These are shown in the screenshot below. Everyone will sign in to the main falkirkcpd blog, then scroll to their allocated blog on the dashboard. I’ve set 10 up, with the idea that participants can work through activities in pairs. I have three things (at least) to thank Twitter for recently – and I’ve been so grateful for all three that I’ve ‘harassed’ myself all day into writing this blog post! New Glow Mug! from margaret vass on Vimeo. … But I got there eventually.